I got one of these because they are a cheaper alternative to loot crate. Taking in to account that it is on 9.99, it was very good. Both times that I got one, it was Star Wars themed but I love Star Wars so that was fine. Hey, This box was okay. It didn't contain very exciting items this time, sadly. But I did receive a nice Mario figure, which I really like. You definitely get a lot less that the normal monthly box but I believe the items are of much higher quality & therefore makes up for it. Already received the same venom mug in my geek box previously, the super mario figurine was good as well as the Harry Potter bag tag as that will come in handy. The mug would have been better as a pop vinyl. 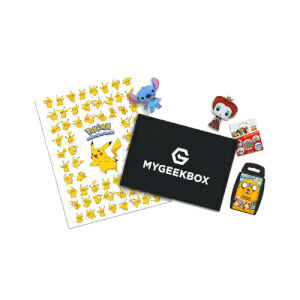 Unimpressed with December geek box lite as it contained poor selection of items. Venom mug which I have already received in November geekbox subscription and a Harry Potter key ring and a super mario mini figure. Have now cancelled lite subscription.